Sony Movie Channel is supporting the global moustache growing charity event Movember with the Movember Moustache Movie Madness Facebook app. Through November, fans can vote on their favorite movie moustaches by choosing from a showcase of some of Hollywood’s best-known actors with moustaches including Burt Reynolds, Tom Selleck, Marlon Brando and Robin Williams. 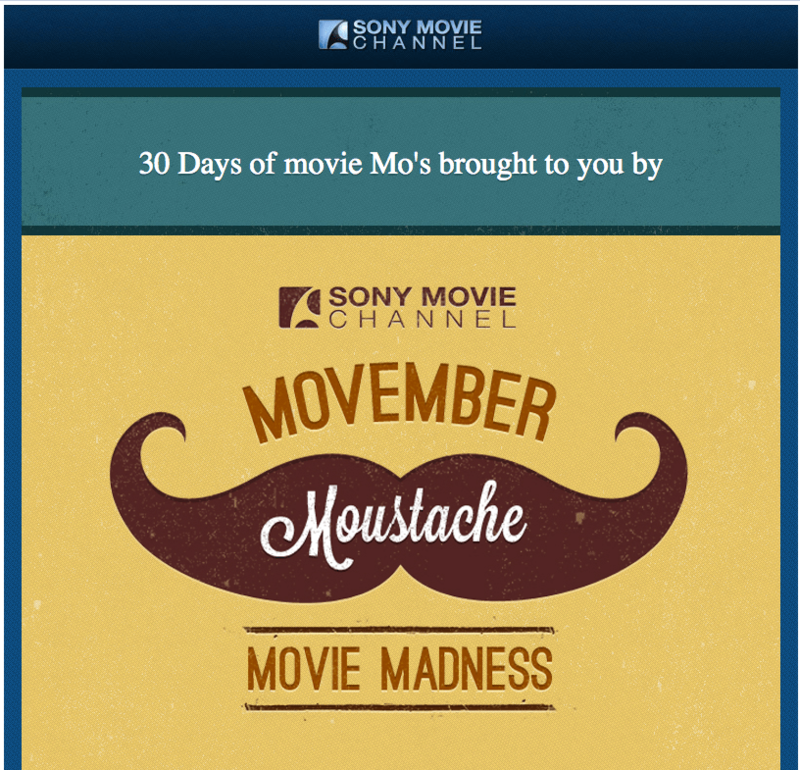 For every vote cast through the app, Sony Movie Channel will donate $1 to the Movember campaign up to a maximum of $5,000. This clever campaign pairs cause awareness with custom programming on Sony Movie Channel. Each picture in the gallery of moustaches links to a movie time on the channel in which that famous moustache is featured. While the overall donation is low, the awareness gained for Movember via programming on the channel is invaluable.